to urge the casual violence of an individual to the disgrace and injury of the community in which he lives, and of the social institutions of that community, is ungenerous and unjust, until it appears that such community approves the act and applauds the actor; but when such concurrence of public sentiment and public action with the particular and personal transaction are manifested on authentic evidence, the private outrage is swallowed up in the public infamy, and the question involved is enlarged to an immense magnitude and importance. In other words, the people of New York didn’t immediately take this as an assault upon the North at large by the South; they had some sense of proportion. In order to implicate the sections in general, the South would need to show some kind of general approval of Brooks’ course. This could remain a deeply troubling, but isolated incident. we have witnessed with unmixed astonishment and the deepest regret, the clear, bold exulting espousal of the outrage and justification and honor of its perpetrator, exhibited by Senators and representatives of the Slave States without distinction of party, in their public places, and by the public press without distinction of party in the same portion of our country, and that upon the present state of the evidence, we are forced most unwillingly to the sad conclusion that the general community of the slave States is in complicity, in feeling and principle, with the system of intimidation and violence for the suppression of freedom of speech and of the press, of which the assault on Senator Sumner is the most signal, but not the singular, instance. I’ve not yet looked at the Southern papers, but the meeting clearly knew of Keitt’s and Edmundson’s involvement; they had an eyewitness on the speaker’s stage that night in the person of Edwin Morgan. He could probably point to Robert Toombs as the guilty senator. Neither of those quite reaches beyond partisan lines, but the South’s two party system had fallen into steep decline by this point. Either way, the endorsement of Southern political leaders all by itself counted for something. One couldn’t dismiss their chosen representatives to the national Congress as irrelevant nobodies. The logic of representative democracy required taking them as proxies for their constituents. They also spoke to a deeper truth about how the sections diverged over the nineteenth century by raising the notion of honor. Cultural developments had loosened the bounds of traditional codes of honor in the North. Once, those codes happily endorsed resenting slights and washing them away with violence. Those times had largely ended north of Maryland, with codes of conduct based on public shame supplanted by those stressing private guilt and self-control. Traces of the old ways remained, of course, but nothing like they thrived in the South. 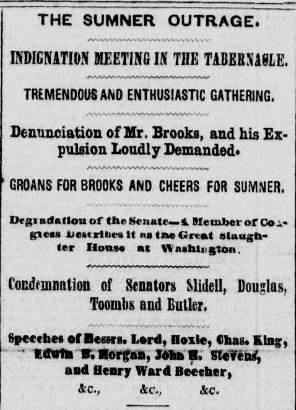 To white Southern eyes, Brooks repaid Sumner for a grievous slight and acted strictly correctly in doing so. Not to endorse him would have been the greater shame for many. Thought had gone into the assault, after all. Brooks spent a few days carefully looking over the speech and considering options. He did not challenge Sumner because Sumner would never accept a duel. That made him no gentleman to Brooks, if he could ever have qualified anyway, so attacking him fairly and on even terms might even disgrace Brooks. As something less than manly, less than white, Sumner warranted striking like an inferior. The South Carolinian’s first choice of weapon, cowhide, speaks to that. Southerners literally whipped slaves with cowhide, so striking a white man in that way would disgrace him more than anything else. 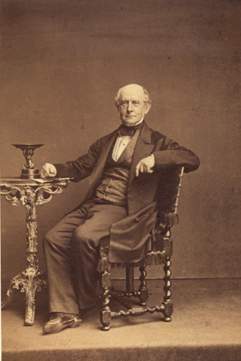 Brooks feared Sumner might get hold of the cowhide, so he opted for the cane also occasionally used to discipline slaves. Pragmatism dictated a slight deviation from perfect symbolism. Gentle Readers, I’ve previously written a mixed assessment of the three-fifth’s compromise. It did not work out as an extremely moderate antislavery measure, but I thought it had that potential when written. I have since learned from Paul Finkelman’s Slavery and the Founders that I have that wrong. On closer examination, it doesn’t even much deserve the label of compromise. The story I believed works out like this: The South wanted to count 5/5 of its slaves for purposes of representation, but 0/5 of those same slaves toward any tax obligations that the national government levied on the states. The freer states objected, instead avowing just the opposite. The South deserved no reward for enslaving black Americans, but rather ought to undertake additional obligations because it had done so and the North would be called upon to suppress slave revolts should they come. The South would hardly have occasion to return the favor. Thus they split the difference at 3/5 for both and everyone goes home in possession of a settlement their white constituents can live with. Finkelman looked at the dates and came out with something different. The Constitutional Convention debated the basis for representation at length, as we all learn in school. They eventually agree that representation should flow from population, rather than wealth or land values. Having decided that, they must grapple with who to count. Slaves constitute a substantial part of the Southern population, near half in some states. A great deal hangs on whether they get counted or ignored. The initial plan calls for a count based on free individuals, so no slaves at all. As soon as this reaches the floor, South Carolina rises to object. Their delegation insists upon counting all the slaves along with the free inhabitants. They do not offer to undertake additional tax liability in exchange, but simply demand that their slave property count as people. The familiar ratio comes out of this, apparently in the hopes of getting ahead of both proslavery and antislavery opinion. In the North, delegates could sell the Constitution on how they prevented full slave representation. In the South, they could argue that they had secured most of what they wanted. Blacks are property, and are used to the southward as horses and cattle to the northward; and why should their representation be increased to the southward on account of the number of slaves, than horses or oxen to the north? Thus, with little debate, the Convention initially accepted the three-fifths clause as a basis for representation. The clause, giving the South an enormous political leverage in the nation, was accepted without any quid pro quo from the North. Application of the clause to taxation would not come until later in the Convention. Indeed, there was no reason in mid-June to believe it would ever be applied to taxation. We have something different indeed from a compromise. Instead the framers did just as they and their descendants would spend the next eighty years doing: making capitulations to the South in order to help the section preserve slavery. Only later does the tax liability come into things and it direct taxation of the states falls out of favor right about the time Southerners achieve full control of the government. This restored the original 3/5 compromise: extra power for the South and slavery with nothing granted in exchange. The slave states got, as they usually did, license to put their thumb on the scale of law whilst demanding everyone else abide by the fair weight. The question of what to do about Kansas continued to occupy the Congress in March of 1856. Would the nation stay the course with the bogus legislature and its laws, authorizing them to write a constitution with slavery and come into the Union down the road? Would they roll back the clock to last year or the year before, wiping aside all the territory had done and starting from scratch? Or would they admit the illegal free state government making their Kansas into the Kansas, free of slavery and blacks? 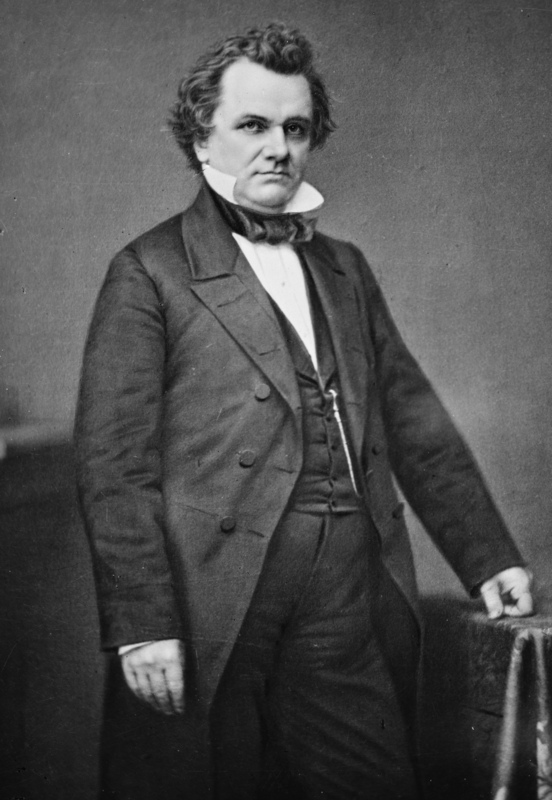 Unsurprisingly, no more consensus existed on Kansas then than two years prior when Stephen Douglas, at the behest of Archibald Dixon and the F Street Mess, repealed the Missouri Compromise and started the mess. The continuing debate over what to do with Kansas addressed the question of its future, immediate or otherwise. It also bore on Kansas’ present. John Wilkins Whitfield and Andrew Reeder had both arrived in Washington and presented their credentials to the House of Representatives. Kansas, entitled by law to one non-voting delegate, now had two. Choosing between Whitfield, the proslavery Indian agent twice elected to the post by fraud, and Reeder, the former governor elected by the free state government in an illegal election, meant choosing between the two governments. The House’s Committee on Elections asked the authority to call for papers and testimony on the question. Southerners objected. The House had a northern, anti-Nebraska majority. That majority had its cracks, but if it investigated then few could doubt the eventual verdict. 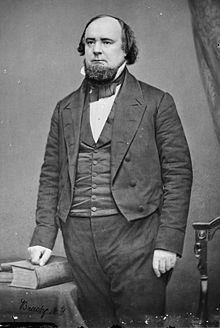 To forestall that risk, James Orr (D-SC) suggested that the House yield the question to a pair of southern lawyers. They would naturally judge Whitfield the more qualified man and seat him. Nobody fell for that. On March 19, over the unanimous objection of the South, the House voted to authorize an investigative committee of three men. 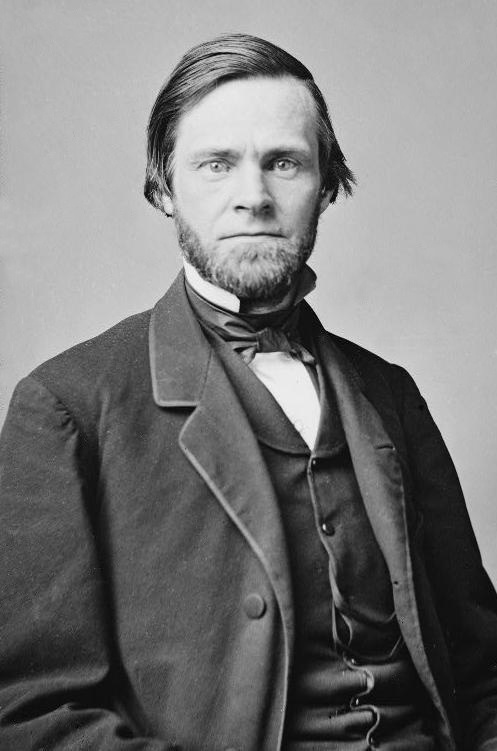 One Democrat, Mordechai Oliver of Missouri, and two Republicans, William A. Howard of Michigan and John Sherman of Ohio would go off to Kansas and inquire into just what had really gone on in the troubled territory. Their report, published at the start of July, provides an invaluable source for Kansas’ first two years. While the majority speaks clearly to what conclusions it would reach, the Howard Report would give Congress something firmer than newspaper reports and letters from constituents to judge matters. Everyone understood that newspapers had a firm partisan slant, one way or another. Testimony given under oath might hold more water. Even hostile witnesses before the committee surely lied, omitted, and evaded, but most I’ve read seem to have held themselves to a more stringent standard than they might in letters or editorials. 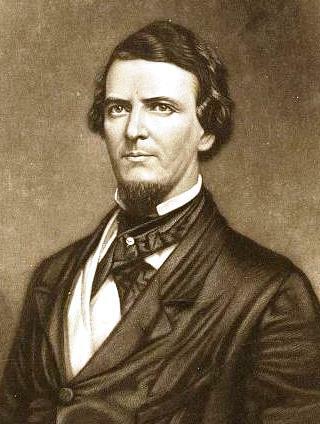 Missourians pledged that the would help Buford’s men, the enamored author above included. Before Buford and company could leave Westport, the citizens gave him “a fine horse with fine saddle and bridle.” Once in Kansas, the festivities gave way to the business of settlement. This scattered the filibusters. Buford himself sought “some central location” where he could set up shop in the hopes that his men would follow along and so remain easily reachable. An army dispersed can soon become no army at all. They might well have stuck with Buford, had he lived up to his end of the bargain. Some of Buford’s men now asked that the money for paying for their claims be given to them, but this their leader declined to do until they should select their quarter sections and settle on them. Others wanted him to support them at his own expense, pay their bills at hotels, etc. His refusal to do this soon caused the loss of a number of the most worthless of the party. Fleming doesn’t think well of those men. He has a point, considering they wanted money before making claims and might well make off with the money instead of the land, but it doesn’t strike me as unusual for them to expect Buford to subsidize them until they could find parcels to settle. Even if you meant to get your land immediately and had energy enough to build a mansion on it first thing, people need to eat and have shelter while they find unclaimed spots that seem adequate. Given the very tenuous state of land claims in the territory, that might take a while. Nobody came to Kansas to starve, sleep in the rain, or descend into penury. Killing Yankee abolitionists might warm the heart, but they expected to improve their condition too. The people of St. Louis rated Buford’s enterprise very highly, and regarded him as the best friend of Kansas in the whole South. St. Louis leaned slightly antislavery, but that didn’t make them abolitionists. They stuck by Thomas Hart Benton through his preaching silence and compromise on slavery, combined with quite a bit of carping at antislavery agitators. St. Louis could very well understand Buford as a legitimate counter to antislavery radicals who had set up their own government in Kansas. only orderly, good citizens, -among them blacksmiths, carpenters, brick and stone masons, physicians, school teachers, agricultural laborers, etc., etc., and any who becomes obnoxious to the Indians I wold have removed. Previously whites could not settle on Indian country at all unless they had a license as an Indian agent or worked as missionaries. I don’t know that the organization of a territorial government ended those restrictions; Andrew Reeder got in hot water, officially, in part for speculating in Indian lands. In advance of the Kansas-Nebraska Act, the United States negotiated cessions from Indian reservations but some continued in Kansas at least up through statehood in 1861. If Indians could not sell to Reeder, then I don’t know how they could grant Buford’s men permission to settle. The law may have changed or settlement might matter less than sale to it. Buford could also have just not done his homework, as he found that land preemption didn’t work quite like he thought previously. Or he might have expected that once his men had occupation of the land, their very whiteness would extinguish Wyandotte rights. both parties would be benefited, and especially would it aid your views in building up your city of Wyandotte, which, by the way, seems the place endowed by nature for the great town of the Territory. He closed with his hope that they would soon meet in person. Jefferson Buford’s stay in St. Louis featured more than warm welcomes and letters to Indian chiefs. Someone broke into one of his trunks and made off with $5000. Buford never saw it again. Something different today, Gentle Readers. I undertook a light research project the past few weeks, at the suggestion of one of the mods over at Reddit’s AskHistorians. African slaves did not arrive in the New World on their own. It took Africans capturing and enslaving them, moving them to ports, and then Europeans buying and transporting them across the ocean. The lion’s share of that traffic in the later decades of the Atlantic trade took place on British-flagged vessels until 1808, and thence forward under Portuguese registry. Every seafaring power got a finger in the pie at some point, the United States included. Most of the American vessels that plied the trade did not, as one might imagine, come from South Carolina. Instead, slavers hailed primarily from New England. Yankee shipwrights built their vessels, owned them, crewed them, invested in them, and profited from their voyages. Did that investment have any influence on the eventual debates over banning slave importation on January 1, 1808? I set off to find out. I also used a more conversational, casual tone than I usually do here. It’s complicated and the context matters. The short version is “probably a little, but some and some decisive stuff back earlier.” Ok then, everyone’s satisfied so we can all go home, consume the beverages of our choice, and call it good. 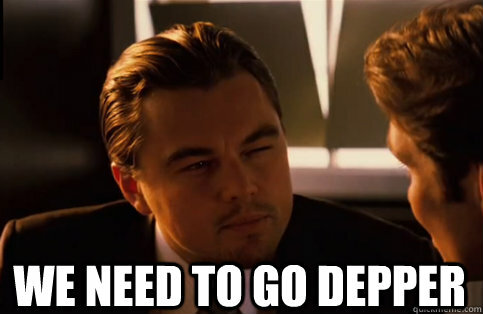 Or we could go deeper. Waldstreicher, David. Slavery’s Constitution: From Revolution to Ratification (p. 89). Farrar, Straus and Giroux. Kindle Edition. As if they could have forgotten. The Committee on Detail’s report bans taxes on exports and slave imports, and by the way there’ll be no banning of those slave imports either. A few clauses down is a requirement for a two-thirds majority to pass any acts which would regulate trade, “navigation acts” in the parlance of the time. That first appears in Rutledge’s hand. Together this tilts wildly Southern: The South’s exports can’t be taxed. Its slave imports can’t be taxed. What can the South do that would get taxed? It’s either excise taxes, which had gone not so well previously, or a tax on imports that be a drain on shipping. Who did the shipping? New England, New York, and Philadelphia, mostly. This was enough to get some pretty serious debate going. The arguments against involved much of the obvious: the Constitution they were drafting was proslavery. The 3/5 compromise would promote slave imports, since the South could literally buy votes in the House and Electoral College. If slavery weakened the South by requiring more military spending to keep it together, as the section sometimes argued, then the whole union would be on the hook. And really, we fought a revolution for freedom and now we’re going to protect slavery? Religion & humanity had nothing to do with this question. Interest alone is the governing principle with nations. The true question at present is whether the South[er]n States shall or shall not be parties to the Union. If the Northern States consult their interest, they will not oppose the increase of Slaves which will increase the commodities of which they will become the carriers. Waldstreicher, David. Slavery’s Constitution: From Revolution to Ratification (pp. 94-95). Farrar, Straus and Giroux. Kindle Edition. Rutledge said what everybody knew. There was a kind of alliance between New England and the Lower South operating. 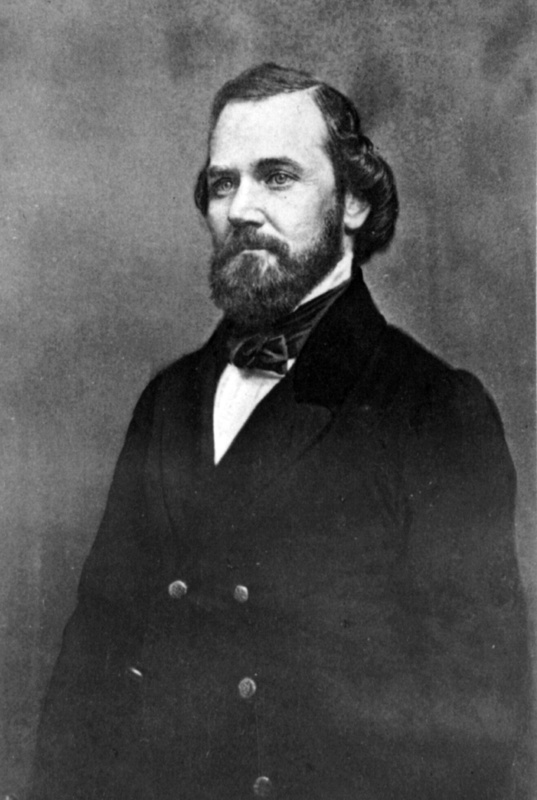 Ellsworth helped prove it by calling the antislavery element out for hypocrisy. If slavery was wrong, why were they just banning the import of slaves? This from a guy from Connecticut. The convention soon found they were at a serious impasse, so they got together another committee to work out a compromise: Yes to a tax on slave imports but it couldn’t go higher than the average of existing duties. No ban on slave imports permitted until 1800. Cool? Not cool. South Carolina moved to kick the date back to 1808. The change passed with the votes of New England, the Lower South, and Maryland. New England gets commerce-regulating power that it wants and the Lower South does not. The Lower South and New England team up to save the slave trade they’re both interested in. Congress will have the power, come 1808, to impose a total ban on the importation of slaves to the United States. Congress does not have that power until 1808, though it may impose a tax of up to ten dollars a head on such imports. Congress could literally make that the first act of the first Congress, pass it on the first day, and have it be the first thing to cross George Washington’s desk. The clause applies to states, not to the United States in general. Congress can do whatever it likes with regard to territories. It can even ban taking slaves already in the US into territories. It will do so, banning the import of slaves to the Northwest, Mississippi, and Orleans Territories. Only the first of these bans is well known, and then as an absolute prohibition. That’s how it was written, but the choice of the first governor and indifference in Washington ensured it was never more than a questionably-secure ban on imports. The bans on imports to Mississippi territory (modern MS and Alabama, mostly) and Orleans (Louisiana, naturally) were more explicitly that, but only in effect briefly and are allowed to lapse. These precedents are relevant to later antebellum stuff, but again that takes us well past the bounds of the question. The clause allows Congress to exercise its power to ban the importation of slaves to the United States in general on, or at any point after, January 1, 1808. It’s not required to do so on that date or any other. None of this requires states to import slaves. All of them had enacted bans on it during the Revolution as part of the non-importation movement. But those bans were state law and could be reversed. They would be by Georgia (1787-98), North Carolina (1790-4), and of course South Carolina (1805-7). Incidentally, all of these constitutional provisions are unamendable. They’re entrenched in the Constitution to exactly the same degree as the two senators per state rule. That’s very far from New England, though. Roger Sherman, of Connecticut Compromise fame (and, you know, Connecticut) opposed Parker’s proposal on the grounds that it was an amendment to a general tariff bill. It really ought to come as its own bill, even though a tariff is exactly what Parker was proposing. The objection might sound a little suspicious, and maybe it was, but it was held so generally in the House that Parker agreed to withdraw his amendment and resubmit it as a freestanding bill. 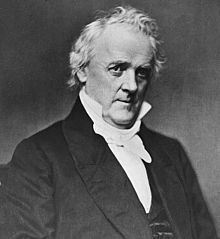 Parker’s tax came back up and the House voted to postpone it to the next session, at which point it would get mixed up in a firestorm over antislavery petitions from some Quakers and Ben Franklin who also wanted the Congress to do something about the slave trade. Franklin’s petition asked that they “step to the very verge” of their power and…and maybe think about freeing any slaves illegally imported? The prospect of the United States government turning into an agent for active emancipation must have been wildly popular in the South, right? You’d expect the kind of slightly manic cheer that fills media aimed at very young children or certain hygiene products. History’s full of heartbreaking stuff, though. The Lower South went ballistic. Congress could set standards for the treatment of slaves on ships bound for the US. This report didn’t become law of any kind; the Senate never signed off on it. But the House as a whole endorsed it, over Southern objections, and antislavery societies took it as a how-to for their future slavery fighting. Let’s look at items #2 and #3. This is a part of the slave trade that is almost invisible in the story of American antislavery, but it’s an important one. Remember above that the Constitutional restrictions apply to importation of slaves to the United States. They do not apply in any way to operations in the carrier trade, taking slaves from Africa to Cuba (mostly), the West Indies (number two), or ports in South America (fairly rare, but it happened). That’s actually where most American slavers did their business. They were primarily New Englanders. We can narrow that down still further. The majority of American slave ships (~70%) were owned and built in Rhode Island. There were operations elsewhere in New England and in New York that registered on the contemporary radar, but the Rhode Islanders were conspicuously all over this. The trade was a major factor in their state’s economy in a way that it no longer was elsewhere, if it had ever been. (I honestly don’t know. Colonial-era slaving is well outside my expertise.) About two-thirds of their voyages brought slaves from Africa, mostly in exchange for rum distilled right back home in the smallest state, and took them to the Caribbean. The other third supplied the American South, but most slave imports to the United States arrived on foreign ships. So here we have an explicit declaration of congressional power over a trade which isn’t actually that important to the South, since they get their slaves from foreigners, and which limiting would only really hurt Rhode Island. Thus, there’s some real action…eventually. Congress took until 1794, but then they passed the Slave Trade Act of 1794. George Washington put his John Hancock on it on March 22. Do that particular dirty deed and your ship and all its accessories could be libeled, condemned, and forfeited to the United States in whatever district or circuit court happened to have jurisdiction. Furthermore, if you were involved with this sort of business, or aiding and abetting, you would take a $2,000 fine to be split between the United States and whoever prosecuted you. If you were a owner or master of a ship and even looked dodgy, and someone reported you to the customs officials, you could be required to swear an oath and give a bond that you would not embark any African or other natives to take elsewhere and sell as slaves for the following nine months. Congress wasn’t quite done yet. It also assessed a $200 per-head fine on any slaves you tried to traffic in, again split halfsies between the US and the prosecution. You might anticipate a big controversy here and a law that just squeaked by, but it doesn’t seem so. I went looking for debates and the roll-call vote on the measure, but couldn’t find them. Don Fehrenbacher tells me that the law got “ready acceptance […] in both houses”. I’m inclined to believe him, but his footnote led me to a dead end. This is all in the Annals of Congress, which were compiled retrospectively from newspaper accounts decades later rather than recorded live, as it were. So it’s possible a debate happened and no one took much notice, but I’ve spent a couple of hours looking and I can’t even give you the vote totals. Beats me. (If anybody has found records of this stuff, please let me know; I’m desperately curious.) The law was, Fehrenbacher says, the result of some very carefully written antislavery petitions. In particular, they took great pains to avoid any request for abolition. So the 1794 act becomes law. It’s not the most draconian thing, but the fines are quite high. It lacks for a good enforcement regime, though. Basically you’re looking at private prosecutions, which half the fine would buy the government. Those would mostly have to happen in the very places where the trade was most popular and its wealthy practitioners most influential. Long odds, right? Maybe, maybe not. It was enough to get Cyprian Sterry, one of Providence’s slaving bigwigs, to quit the business when the local antislavery groups promised to come after him. And then there’s John Brown. 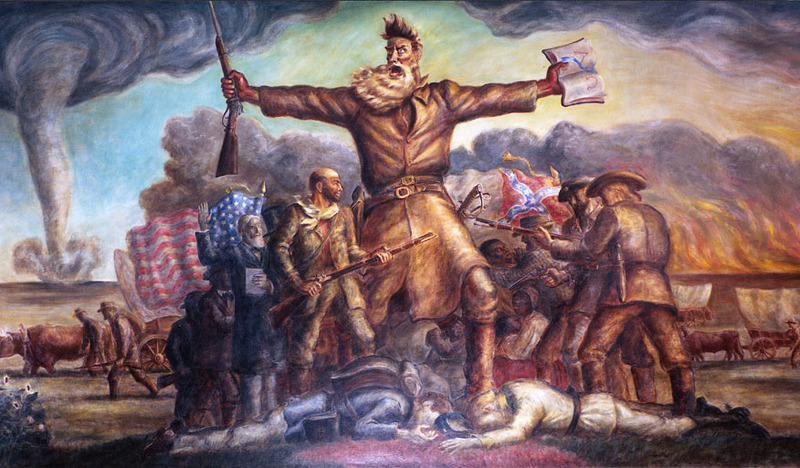 No, not that John Brown with the wild beard and the badass mural in Kansas. (But seriously, look at that mural!) John Brown of the Brown University Browns. John Brown is having none of this crap about fines. The Congress can take its slave trade act and shove it. He’d been doing the same thing with Rhode Island’s state law against slave trading voyages since 1787. He sent a ship, the Hope, off a-slaving. Hope called at the Guinea coast, bought some people, and took them off to Cuba where the sale of the 229 survivors turned a handy profit. Brown had clearly fitted out and set off a slaving voyage. His brother Moses, a Quaker convert, and the local Abolition Society came after him in a private prosecution. They made it their business to do this, but usually things got to the point where someone would sign an agreement to renounce the trade (as Sterry did) and they would drop the prosecution. Negotiations to that end did not budge Brown at all. Moses threatened him with more than the loss of an older ship if he kept at things, but Brown sucked up the loss of the Hope. Eventually it became clear that Brown was trying to push things to trial. If someone got nailed for illegally importing slaves they would have to face a jury, and a Rhode Island jury would probably not convict. Once that became an established fact, the law would be a dead letter. Which it was, for the most part. The Washington administration did not bend over backwards to see the law enforced. Rhode Island’s commerce dipped for a year after passage, but then came right back. Between 1794 and 1804, Rhode Island saw twenty-two prosecutions but we know of at least two hundred voyages to Africa in the same time. It seems that the volume of the trade significantly increased after it became illegal. Good lawyering, friendly juries, and occasional intimidation kept it safe until Jefferson appointed one of the big name slavers to the customs post at Bristol in 1804. Shockingly, African clearances from there shot way up. Prosecutions did not. I told you most of that to set this up. Come 1800, things are looking a little better for the 1794 law. The Adams administration is encouraging prosecutions and has a few ongoing. Congress decides to revisit things and improve on the old law with a supplementary bill. This one is going to jack the fines (double the value of vessels forfeited and price of the slaves), outlaw investment in slaving ventures (at the pain of losing twice your stake in them), and if you’re actually on the ship you could get two years’ jail. This applies to Americans doing their own trading destined for foreign ports, as well as Americans on board or investing in foreign vessels. If the Navy, or equivalent, does the capturing then its officers and crew are entitled to prize money. And if a private prosecution brings any of this about, the fines go halfsies to the US and the accuser again. it [was] improper to prevent the citizens of the United States enjoying the benefits of a trade enjoyed by all the European nations. […] Many members of the House, he observed, knew how the former act was passed; they knew that Congress was drilled into it by certain persons who would not take *no* for an answer. It was well known that the Abolition Society, otherwise the Society of Friends, as they were called, were very troublesome until they got that act passed. it was wrong, when considered in a moral point of view, since, by the operation of the trade the very people themselves much bettered their condition. had been well informed that on those coasts New England rum was much preferred to the best Jamaica spirits, and would fetch a better price. This is, as I mentioned before, literally how Rhode Island bought slaves. Brown had been well informed by his own ledgers. I don’t know about Brown personally, but some of the traders owned their own distilleries. I don’t know that any other New Englander spoke in opposition to the 1800 law. 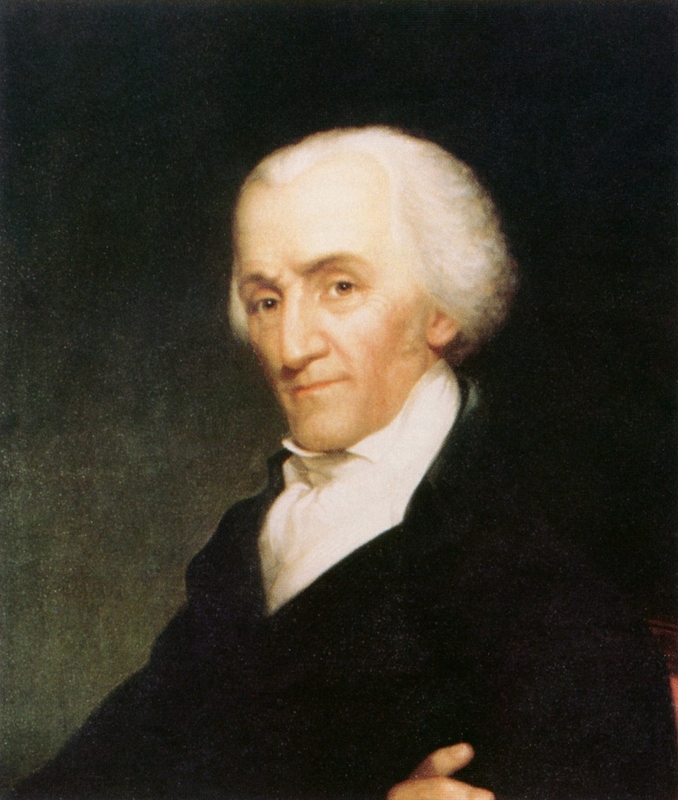 It passed on on May 10, 1800, clearing the house with all of five votes against. Who are those guys? 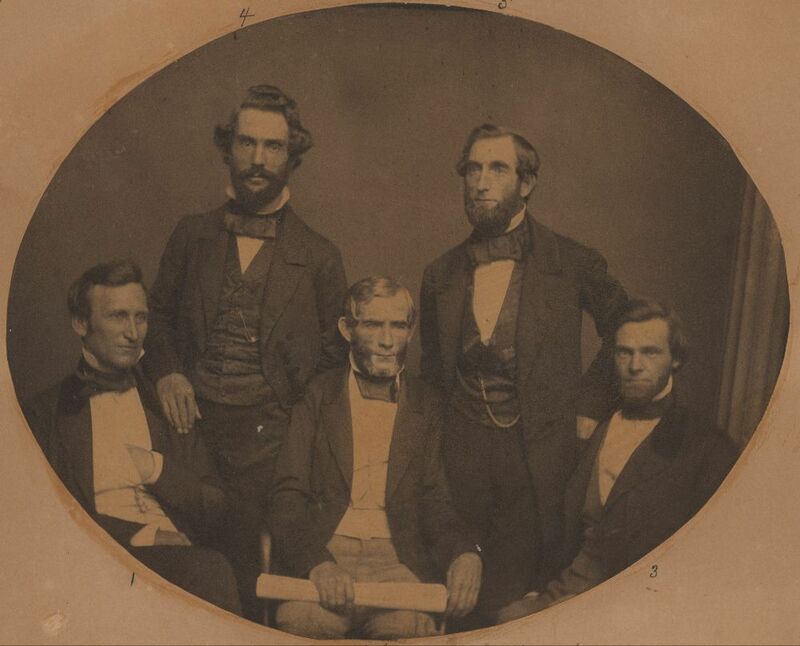 Brown, of course, George Dent (MD), Joseph Dickson (NC), John Rutledge Jr. (SC), and Benjamin Huger (SC). It’s by no means a prefect indicator, but the fact that Brown alone votes against the bill paints him as a pretty marginal figure. The commerce is mostly a Rhode Island affair and the other Rhode Islander in the House didn’t vote against it. But one does have to consider that all previous acts turned out to be paper tigers. Even forfeited ships often got bought back by their previous owners for pittances. The 1800 revisions had as much effect as the 1794 original: a brief downturn followed by resumption and increase of voyages. Between the international situation and American non-enforcement, the US share of slave exports from Africa goes from an estimated 2% (1780s) to 9% in the following decade and then 16% for the first Jefferson administration. Skipping a few minor episodes (making imports of slaves to a state that has closed the trade a federal offense that inspires SC, along with the money to be made importing slaves for further transit to Louisiana, to reopen the trade and a revival of the ten dollar tax that goes nowhere in retaliation against SC) we get to 1808…almost. We have to come up for a moment in December of 1805, when a New Englander gets conspicuous again. Stephen Row Bradley, of Vermont, gets up in the Senate and suggests they get cracking on a bill to prohibit slave imports, effective the first of 1808. The time might have seemed ripe, with states calling for a constitutional amendment to permit banning slave imports then and there not that long before, but Bradley’s proposal was taken as too soon all the same. There’s an undercurrent of doubt in all of this as to whether it’s proper for Congress to even consider an import ban before 1808, let alone years in advance. These debates are not heavily studied, at least as of Matthew Mason’s Slavery Overshadowed: Congress Debates Prohibiting the Atlantic Slave Trade to the United States 1806-1807 (2000). Even contemporaries paid far more attention to other issues, despite often fiery rhetoric. The distinction is very much sectional, though Mason notes that the South prevailed as usual with the help of some northern cooperation. He doesn’t call out any New Englanders as conspicuous. This nuts and bolts wrangling took place in the House. The Senate recorded no debates or votes -thanks a lot, jerks-. Peter Early (Georgia) and John Randolph (Virginia) were conspicuous on the southern side, but if there was a particular locus of resistance in the New England delegations Mason doesn’t note it and I think he would have. What about those other two? I had to do a little hunting here, since it’s one of those things where you have to figure out which side is which and which is the relevant vote. It’s here. My method: I recognize the names of several southerners on sight, particularly the hard-liners, and know the section voted pretty solidly one way. So we want the nays. To be doubly-sure, and do the further sifting, I compared the nays with the roster here (PDF). I came out with, in addition to the previous list, Samuel Tenney (NH) and Peleg Wadsworth (MA). Both are New Englanders, though neither is a Rhode Island man. I don’t know if Tenney and Wadsworth had any personal or constituency connections to the slave trade or not. This isn’t quite an up or down vote against slavery, though it’s close, so there may have been tactical considerations involved too. The strong New York connection to southern interests, political and economic, must be a factor for the others. New York’s remaining slave population might have served as another, but I’ve got my doubts considering they can’t have expected a whole lot of slavers to aim for their ports and so end up depositing human cargo locally where it would matter on a personal level that much. What slave ship is going to take a hold even partially full of people to a state that passed gradual emancipation in 1799 when there are so many more hospitable and profitable ports? Which brings us to regulation of the coastwise trade, with the question being whether to limit the trade to vessels displacing forty tons or more. Twelve Upper South men voted for it, only ten northerners opposed. This was a significant limitation, as while an Atlantic-going slaver would run around 158 tons, the coastwise trade involved mostly vessels smaller than that. So let’s fine those dissenting Yankees again. The vote is here. We want the Nays. There are seven repeat offenders from the last vote here: Josiah Masters (NY), Gurdon Mumford (NY), Martin Schuneman (NY), Samuel Tenney (NH), Uri Tracy (NY), and Killian K. Van Rensselaer (NY). That leaves us three to find. They are Silas Betton (NH), Martin Chittenden (VT), Samuel Dana (CT). One wonders just what Martin Chittenden and Stephen Bradley said to each other when they got home. So there’s four New Englanders in the mix, counting Tenney with the three new arrivals. That’s not a lot (35 New England reps total, 20 of them Federalists) but it is something. The New England of the very early 1800s is not the New England of the 1840s and 1850s. It’s a place where antislavery is popular, but it’s not the region-defining thing it would be in future years. That begins to emerge when it becomes clear that the Federalists are done as a national party and they don’t need to be appealing to enslavers anymore as their partners in Virginia and South Carolina in particular are no longer interested. I don’t know what’s going on with the Chittenden in Vermont at all, and Rhode Island is conspicuous in its absence (both RI reps are Republicans at the time, so maybe party whip and certainly the impotence of previous laws would be a factor), but they must have had their reasons. The state didn’t lose interest in slave trading for a while yet hereafter. I fired up my Biographical Directory of the United States Congress to see if there was a partisan angle. All four are federalists. Party lines aren’t as hard as they would become, but they could be looking to keep alive a national Federalism by resisting Jefferson’s program in hopes of wooing back southern coalition partners. But it’s only an inclination, against the general trend of their party’s vote, and it’s not too long after this that the party try to position themselves as a New England sectional party with an antislavery bent. On the balance, and absent any meaningful biographical data about them, I don’t think partisanship is the main factor. I can’t say for sure that there are personal or constituency interests driving them, but it seems likely. I haven’t gone looking in the debate myself to see if any of the against-the-grain guys spoke up in an interesting way, but between my sources I think if they said anything useful and it survived, I’d have seen it quoted. It’s rare for them to even be mentioned by name. Mason notes that for all the fireworks in Congress, the slave trade prohibition doesn’t seem to have drawn many eyeballs. 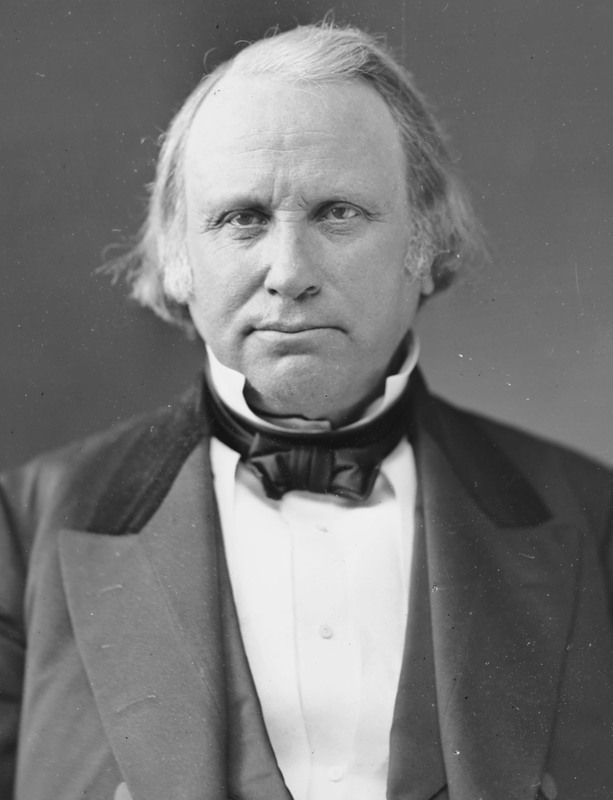 With the exception of Bradley, few of the antislavery party even seem to have felt it was the main event of the Ninth Congress. (Though it was the big event of their generation of antislavery activism.) The papers took little interest, and the Annals were collected largely from newspaper reports, so things probably have slipped away. The bill passes on March 2, 1807, which brings us to our last vote. Only five men vote to keep the trade open. It is actually open at this point, because SC still has it going. They are Silas Betton (NH), Martin Chittenden (VT), James M. Garnett (VA), Abram Trigg (VA), and David R. Williams (SC). No Rhode Islanders but two New Englanders willing to take it to the bitter end and go on record, both Federalists. Chittenden remains the real mystery to me. New Hampshire at least has a coastline. He was born in northwestern Connecticut, but left there when he was thirteen. That’s old enough to have opinions, maybe. He was educated at Dartmouth and may have picked up his position there, but that would be a question for his biographer. It’s very likely that I’m forgetting some. The Slaveholding Republic by Don Fehrenbacher on the mechanics of the slave trade and law in particular, but also John Brown. James, Sydney V. Of Slaves and Rum. Reviews in American History 10.2 (1982): 168-72. Web. A book review that gives some details from The Notorious Triangle, about Rhode Island and the slave trade which I desperately want to read, but is well outside my research budget. Mason, Matthew E. Slavery Overshadowed: Congress Debates Prohibiting the Atlantic Slave Trade to the United States, 1806-1807. Journal of the Early Republic 20.1 (2000): 59-81. Web for fine-grain details of the votes and debates. Slavery & Politics in the Early American Republic by Mason was helpful or situating the New England Federalists. Slavery’s Constitution: From Revolution to Ratification by David Waldstreicher for the Constitutional Convention and Yankee-Carolina alliance. And a finding aid for the John Brown Papers (PDF) at the Rhode Island Historical Society for more information about Brown and how the Abolition Society operated.